"Too Big for Medium to Small"
They had the scale to handle my needs. They also seemed to have a grasp of the field I was needing them in. The "billing" would not satisfy an internal quota I suspect or the Atty I met was not interested in my dollar amount. The shame was, and they did not realize this, but whatever attorney group I used the billion dollar company I was dealing with wanted to use the same. It would have been there into something huge. I would look for someone that would really be interested in you as a client and not the number that you represent. "Buen programa para trabajar en contabilidad." Tiene una interfaz muy intuitiva y fácil de entender desde el principio de la utilización del programa. También es muy completo y permite trabajar de forma muy fluida a la hora de la introducción de datos. En ocasiones se hacen dificiles las transiciones entre menus y para mi gusto tiene ciertos problemas con los tamaños de la interfaz dependiendo de las resoluciones que utilices. Es bastante recomendable y uno de los programas más practicos que he utilizado hasta ahora. Es muy simple la introducción de datos haciendo que el trabajo sea muy eficiente. What Tax Services solution do you use? "Great resource for accounting research"
The search engine is very easy to use, just like Google model. The results are formatted in a bit of a cumbersome way. Sometimes is not very easy to identify the specific topic of research from the results page. In my opinion they have a great product that could be use extensively for accounting research. Definitely recommend their web based research tool. It's very easy to add investment account information, and also to delete investment account information for accounts that have been closed. Also, there is a dropdown of pre-filled brokerage platforms that users can select from to save time. The theme is very sterile, and the style of content is very formal. It could use a friendlier design. It has a simple interface and is very easy to use it, even you've never used it before. His price is highly competitive. You need to have several tools if you want a global solution. It's a general software and is not easy to costumize it. 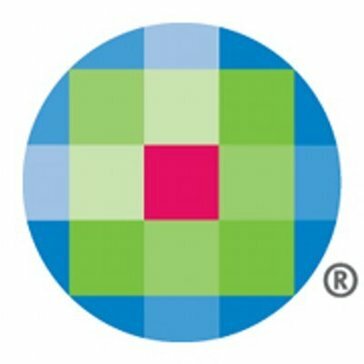 "Never will I use Wolters Kluwer products again"
* We monitor all Wolters Kluwer reviews to prevent fraudulent reviews and keep review quality high. We do not post reviews by company employees or direct competitors. Validated reviews require the user to submit a screenshot of the product containing their user ID, in order to verify a user is an actual user of the product. Hi there! Are you looking to implement a solution like Wolters Kluwer?